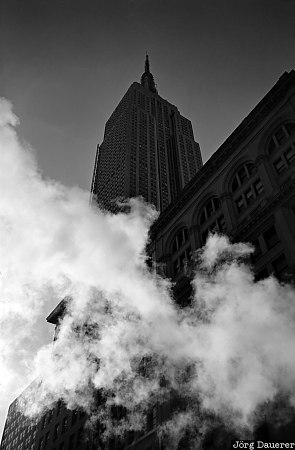 Empire State Building in Manhattan, seen from 5'th Avenue trough a cloud of steam coming from a Subway tunnel. Manhattan is in New York City, New York in the east of the United States. This Photo was taken on an early November day in 1998.